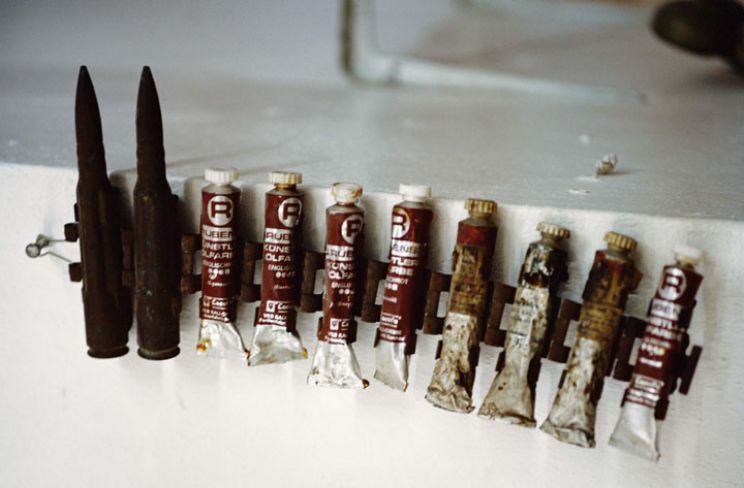 Although a painting can never stop a bullet, a painting can stop a bullet from being fired. Culture is a central component of conflicts between different groups and ethnicities. So what could be more appropriate than using culture as a tool for conflict resolution? After centuries of war, Europe has particular experience in how to create peaceful and cooperative ways of co-existing. Many sites are damaged by shell fire, some deliberately, some as collateral damage. The impact damage can be extremely variable. In some cases, it is no more than mild chipping, and blackening as if from a fire, which can be cleaned off easily. Repeated shelling, however, can lead to extensive damage, and ultimately the destruction of the structure. 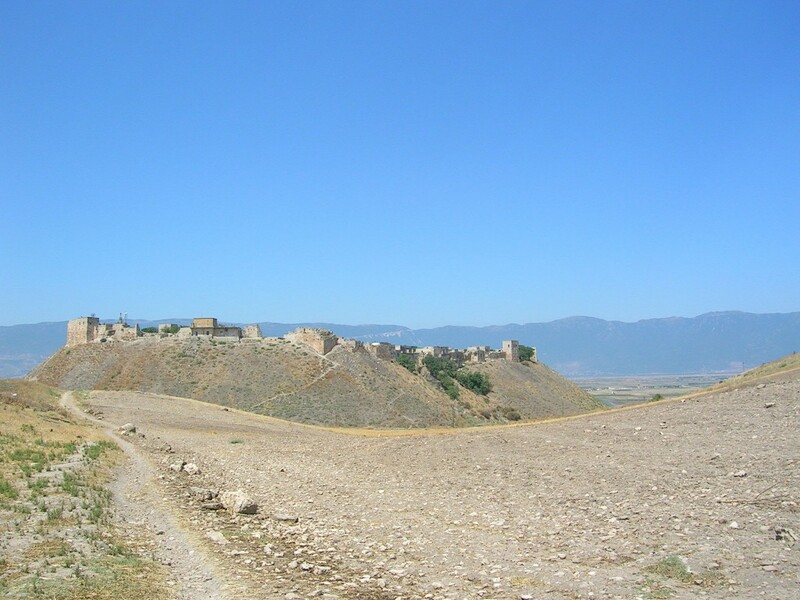 Qal’aat al-Madiq citadel, part of the tentative World Heritage Site of Afamia, was built before the Greeks came to Syria, but it was particularly important as an Arab point of defense in the Crusades. The current remains of citadel are largely 12th century, but most of fortress is now a modern village. 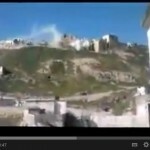 The citadel was heavily shelled in Spring 2012. Gunfire usually causes slight impact damage to sites, but sustained gunfire can cause extensive damage, as seen in photos shared by Le Patrimoine archeologique syrien en danger of the damage to the Aleppo Umayyad mosque. The columns are very badly damaged from their use as shelter from bullets. Looting is one of the biggest dangers to sites. Objects are taken from museums and ripped from unexcavated sites. Without knowing what was taken, it is almost impossible for the affected country to make a claim for it’s return – if it ever even appears on the international market. Even if the object is known and identifiable, it may be hard to find. Most objects are sold illegally on the black market, and are not seen again for years, if ever. Some 15000 objects were looted from the Iraq museum in 2003, of which thousands are still missing. The fate of artefacts from archaeological sites is even worse. Although not often considered when damage during conflict is discussed, many sites are at risk from illegal constructions. In periods of decreased security, buildings often spread into unauthorised areas. Construction, particularly of large buildings with deep foundations, can be extremely damaging to archaeological sites. 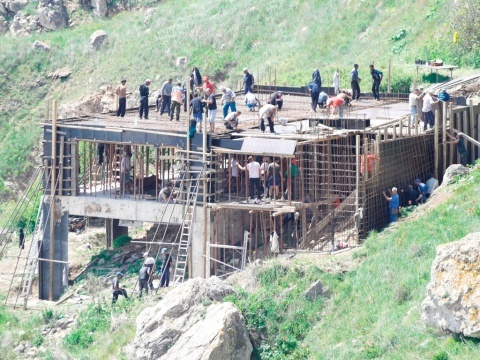 This photo of construction going on in the Yaylata archaeological protected area has been circulating Bulgarian social networks in May 2013. “Robbery” – the felonious and forcible taking from another person, goods or money to any value, by violence or putting him in fear. “Deceit” – a fraudulent misrepresentation or contrivance, by which one man deceives another, who has no means of detecting the fraud, to the injury and damage of the latter. “Extortion” – the use, or the express or implicit threat of the use, of violence or other criminal means to cause harm to person, reputation, or property as a means to obtain property from someone else with his consent. There are no international conventions to protect the heritage from these crimes, yet conflict clearly encourages very strong emotions, such as greed or destructiveness in relation to heritage and art. Subscribe to the mailing list Damage to Syria’s Heritage to receive regular updates on the damage to Syria’s heritage during the present crisis. For examples of these types of damage in a Syrian context, see Damaged Heritage.